Event: The 2015 Arimaa World Championship tournament will determine the best human Arimaa player. A contest will also be held for spectators during the final rounds of this tournament. Player Prizes: The winner will receive an official Arimaa World Champion certificate. The players who advance to the finals will win a cash prize based on their performance. See tournament rules for details. Spectator Prizes: Spectators will also receive prizes for picking the right player and number of moves. See spectator contest rules for details. Registration: This tournament is open to everyone regardless of experience or skill level. Less experienced players should expect to be paired against strong players in begining rounds, but every player is guaranteed six games regardless of results, and the pairings get more equal as the rounds progress. The entry fee is 1000 Arimaa points (10 U.S. dollars), all of which will be distributed as prizes. If you decide to unregister before the deadline your registration fee will be refunded. 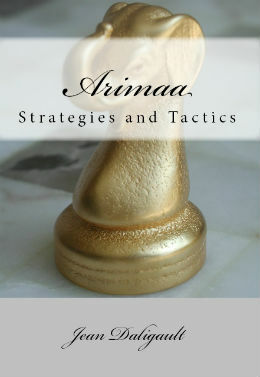 If you don't already have Arimaa points, you can fund your account via PayPal. If you don't already have a PayPal account, please don't wait until the last day of registration to figure out how to get Arimaa points. If you are in a country that doesn't have PayPal send a message through the contact page to make other arrangements. 100% of the registration fees will be added to the prize fund. Format: A Six-round Swiss-divider followed by elimination finals. See tournament rules for details. When: The tournament will begin on Wednesday January 7th, 2015. The participants will play one game per week. Resigning: There is no penalty for resigning a game, however resigning is discouraged and completing a game to the end is highly encouraged even when the position is clearly lost.